One hat from our assortment picked randomly from our stock available. Luxury fiber knit made in alpaca by hand. This fairly traded artisan made product is as fine as chullo hats from Peru get. Super quality fiber and awesome craftsmanship.These one size chullos are great for winter sports or for strolling outdoors. This chullo will keep you warm and in style. Great color combinations and design at value price. Limited quantity available. Great price! SUPER WARM WINTER BEANIE. GREAT FOR ALL PURPOSE WINTER USE. PERFECT FOR WINTER SPORTS. This is a brand new one of a kind chullo hat made of alpaca, one of the finest yarns in the world. It is super soft and warm and features an exquisite intarsia design in a gorgeous color combination. This original garment was hand made by skilled artisans. Color combinations are unique due to the handcrafted nature of the product.Order by main color. Alpaca is considered one of the worlds few luxury fibers due to its unique properties of softness, luster, lightness, durability, & warmth. No other animal fiber combines ALL of these properties. Alpaca is also considered a specialty fiber as less alpaca fiber is produced each year than cashmere, angora rabbit, or mohair. 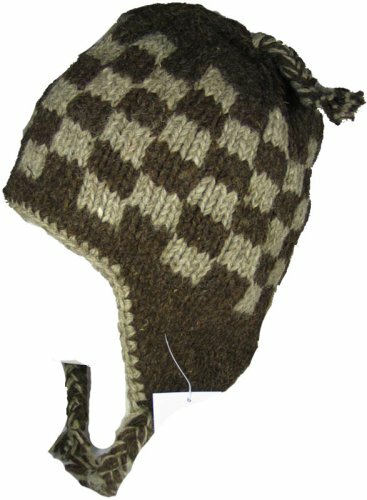 Our Mohawk Punk Monkey Toddler Animal Wool Ski Hat is fun and cute style winter hat for any kinds of winter outdoor activities for your toddlers. Made with thick and chunky wool material with fully fleece lined inside, this ski beanie will keep your babies heads in cozy warmth all the time in cold weather. 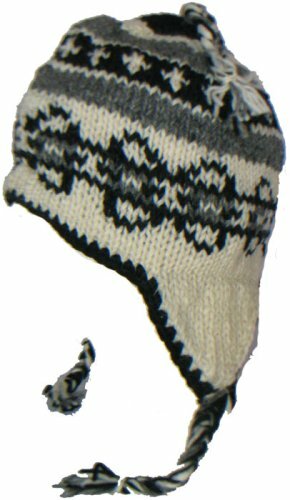 This toddler ski hat brings darling look on your toddlers as different animal features with cute animal ears and faces are sported on the front crown of hat. 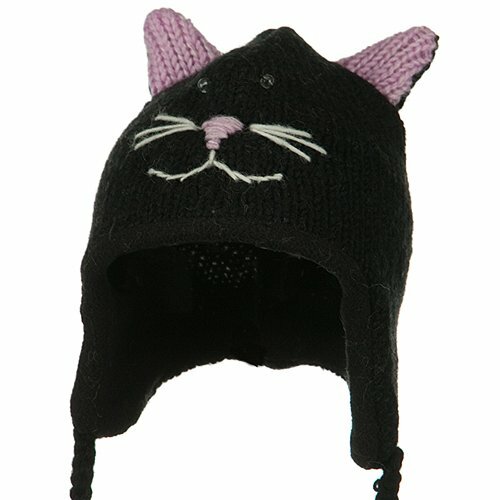 Also, earflaps on both sides of this beanie are accented with matching colored chin strings with tassels. 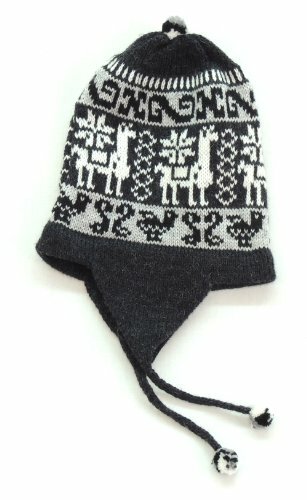 Do not forget to try this adorable animal ski beanie hat in our other amazing colors and designs as well. 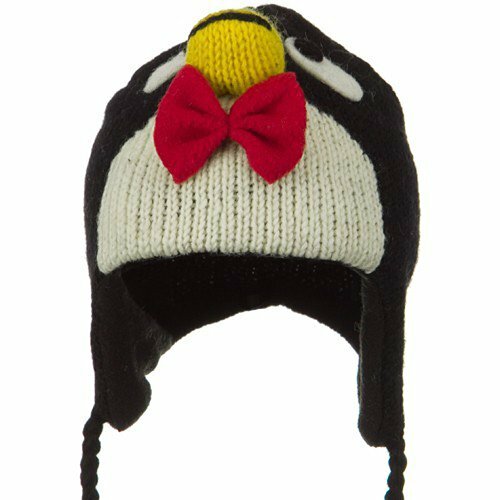 Our Black White Penguin Toddler Animal Wool Ski Hat is fun and cute style winter hat for any kinds of winter outdoor activities for your toddlers. Made with thick and chunky wool material with fully fleece lined inside, this ski beanie will keep your babies heads in cozy warmth all the time in cold weather. 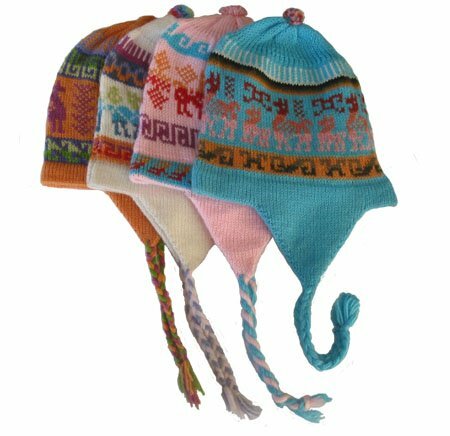 This toddler ski hat brings darling look on your toddlers as different animal features with cute animal ears and faces are sported on the front crown of hat. Also, earflaps on both sides of this beanie are accented with matching colored chin strings with tassels. Do not forget to try this adorable animal ski beanie hat in our other amazing colors and designs as well. Luxury fiber knit made in 50% alpaca & 50% acrylic by hand. This fairly traded artisan made product is as fine as chullo hats from Peru get. Super quality fiber and awesome craftsmanship.These two children's size chullos are great for winter sports or for strolling outdoors. This chullo will keep your child warm and in style. Great color combinations and design at value price. Limited quantity available. These are the best all purpose winter toques made. Solid construction, very warm and cozy fleece lining. These sell at famous ski resorts for up to $50. Get yours before you go and save your money! Looking for more Chullo Ski Hat similar ideas? Try to explore these searches: Spectre Engine Dress, Aluminum Egg Bar, and Honda Civic Front Door Handle. Look at latest related video about Chullo Ski Hat. Shopwizion.com is the smartest way for online shopping: compare prices of leading online shops for best deals around the web. 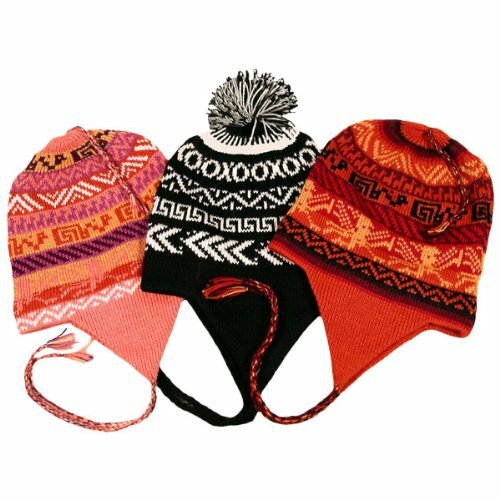 Don't miss TOP Chullo Ski Hat deals, updated daily.